We made our way from Chicago to western New York before stopping for the night. This is one of several pen and watercolor sketches I did along the way. I composed it as we went along from the changing landscape as we drove. 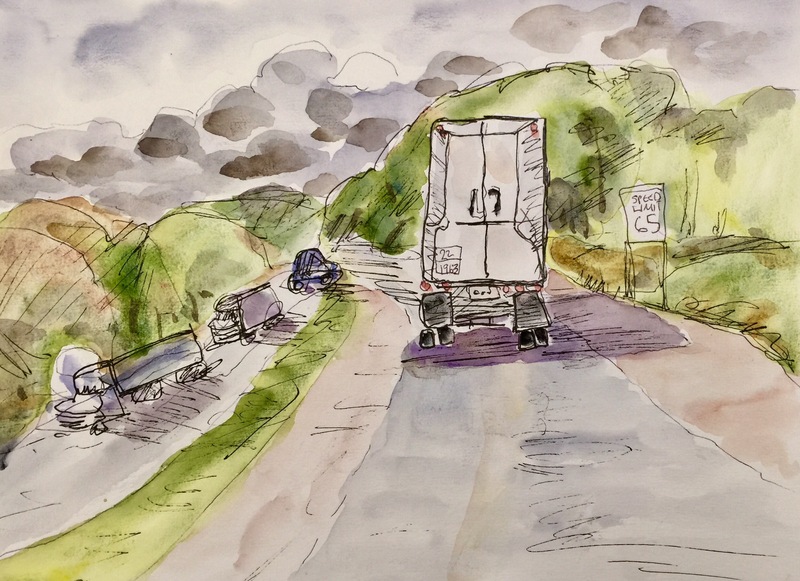 This entry was posted in Landscape, Telling a Story and tagged Driving and Drawing, Ohio. Bookmark the permalink.